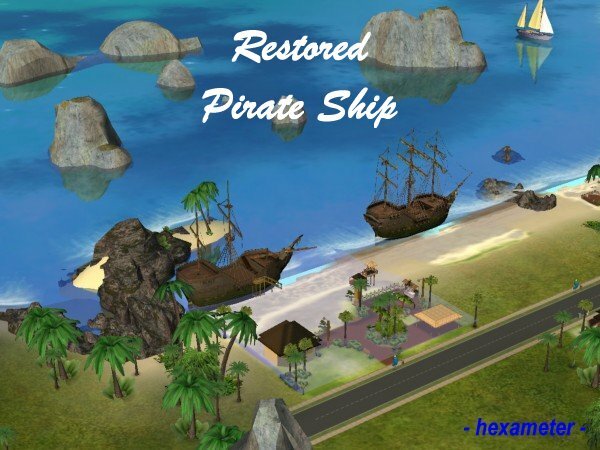 I wondered why I should be content with a shipwreck when I also could have a ship without holes, broken masts and damaged utilities? 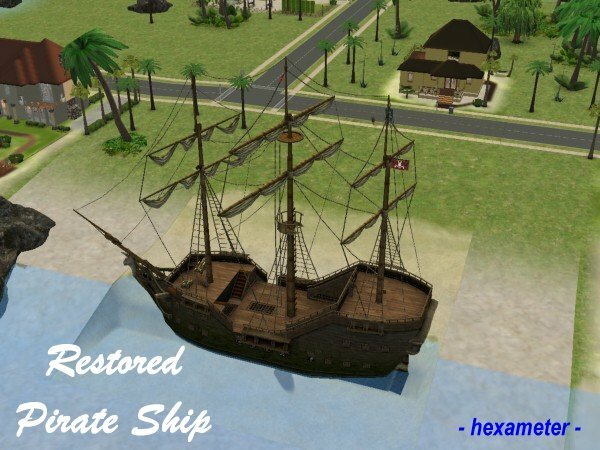 So I decided to make a buyable and restored ship based on the original mesh of EA for my neighbourhood of passed times. The original ship has 241 GUIDs, too much to be worth to spend the time to register all. Especially that it took some time to restore the different mesh parts. So my solution was to make a decorative version that only uses four tiles. It can be put on ground as well as on EA's lakes and in the sea in BV. So you can use water decoration as ground cover but also other ways to use the ship. As the mesh of EA was designed to be exactly two stories of height it is possible to cover a complete building that works, but is hidden. This way the Sims may enter the ship using a normal stairway and walk along the decks, too. Using the repository technic the package is rather small. The object is colour enabled. 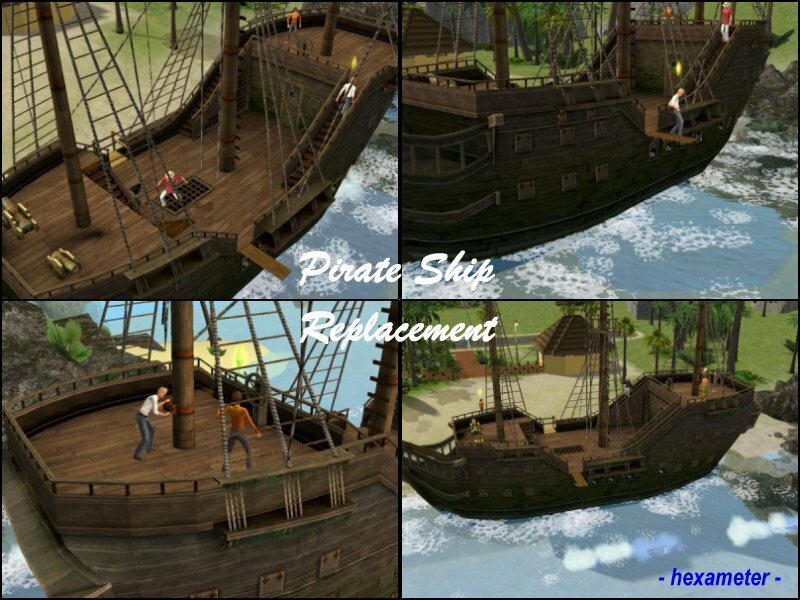 The replacement overrides only the mesh of the original ship and doesn't break the game as far as I tested. 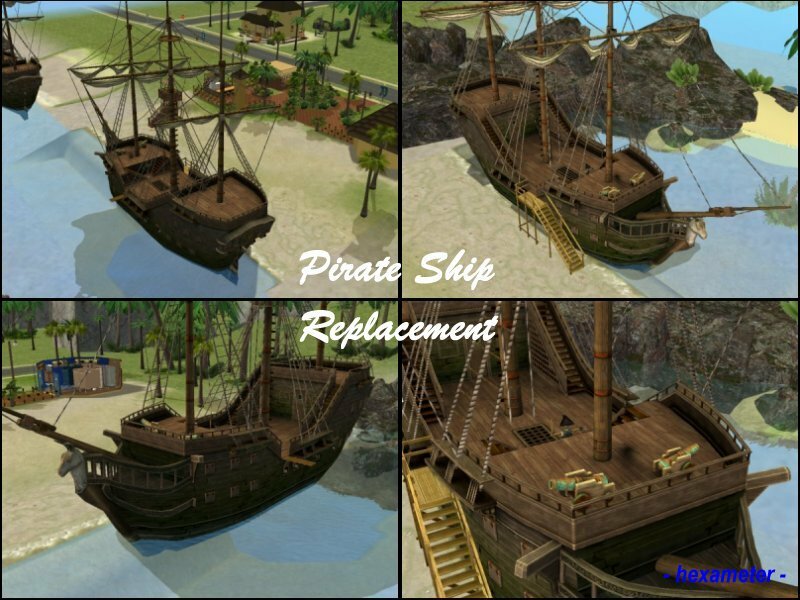 All functions of the original ship work but on a restored version without holes and damages. It only will work with BV and newer EPs! 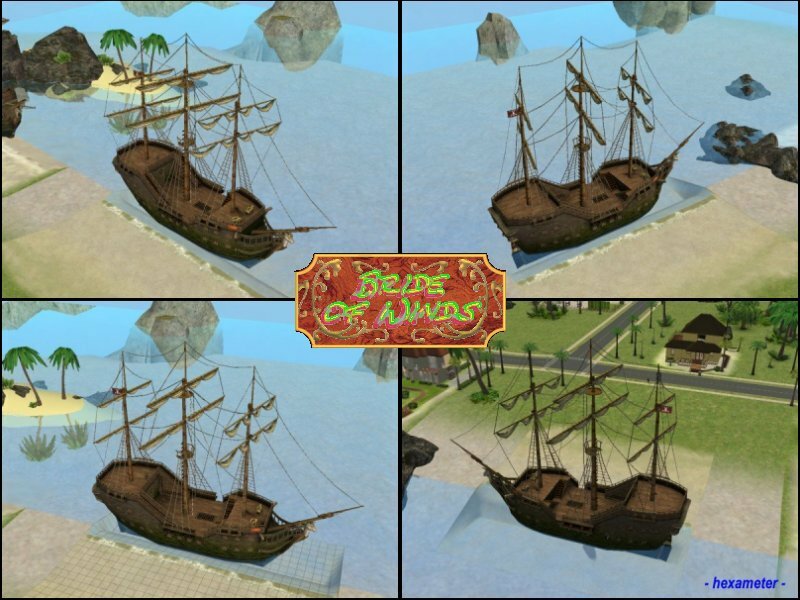 The ship is located in the same part of the catalog like the Pirate Ship, the decorative version can be used in community and in residental lots. If you like the new ship install it as known in the downloads folder and have fun with it.